Total knee replacement surgery (TKRS) is a type of surgery in which arthritic or damaged surfaces of the knee joint are removed and replaced. TKRS is performed when other types of treatment are not effective in controlling the pain due to damage to the articular cartilage. The goal of TKRS is to relieve pain, improve knee function and thereby improve an individuals’ quality of life. 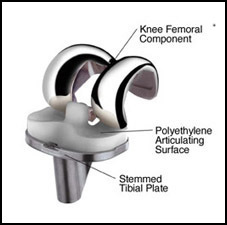 The materials used in total knee replacement surgery are designed to enable the knee to move like a normal joint. The damaged ends of the femur, tibia and underside of the patella are resurfaced with metal and plastic which are shaped to imitate normal knee movement and function. Several metals are used, including stainless steel, alloys of cobalt and chrome, and titanium. The plastic material is durable and wear resistant polyethylene. This “artificial knee” is called a prosthesis. Plastic bone cement may be used to secure the prosthesis to the bone. Total knee replacement surgery is done in a hospital under general anesthetic (the patient is asleep) or spinal anesthetic (the patient is awake). Most people arrive at the hospital the day of their surgery. In some special cases people need to arrive at the hospital the day prior to their surgery to have other medical problems assessed. TKRS usually takes about two hours. After their surgery people generally stay in hospital 5 – 7 days, where they begin the rehabilitation process. After TKRS knee motion generally improves. The extent of improvement will depend on how stiff the knee was before surgery. An exercise program is an important part of the recovery process and is usually started the day after surgery. Most people have some short term pain when they start their exercise program because the muscles surrounding the knee are weak from inactivity and the tissues are healing. 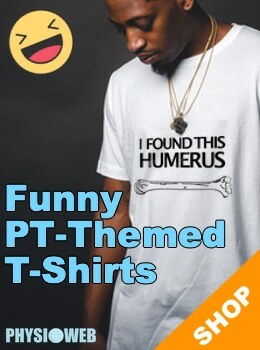 Complications are rare and most can be dealt with by the orthopedic surgeon who performed the surgery, or by the medical team that deals with post – operative complications. Total knee replacement surgery is very effective in decreasing pain, improving function and quality of life when other treatment options are ineffective. An “artificial knee” or prosthesis can usually last a decade or more in older people. Younger people may need a second knee replacement. Orthopedic surgeons, engineers and other scientists are working together to improve surgical techniques and prosthesis materials. It must be emphasized that the materials and surgical techniques currently used in TKRS are not designed to withstand the stresses of running, heavy physical work or contact sports. Participating in these types of activities after TKRS may lead to damage or early wear of the prosthesis.